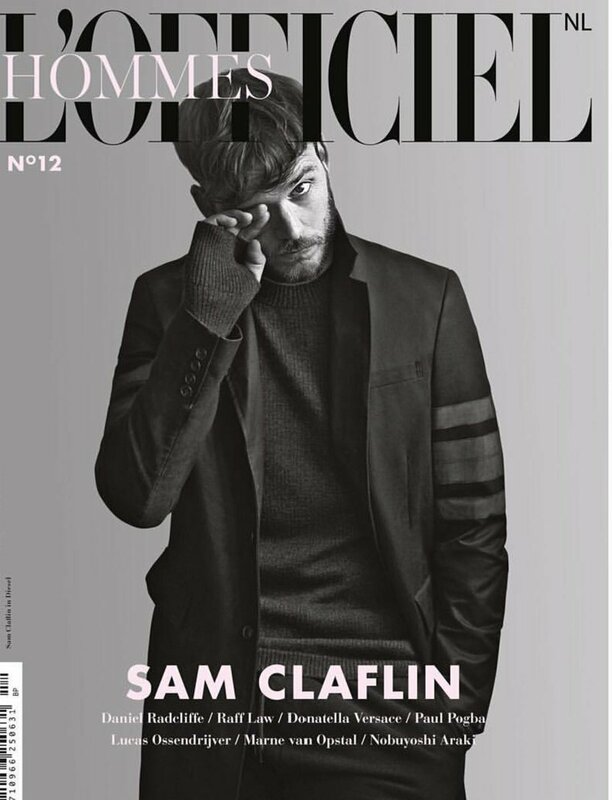 Sam is featured as one of four cover stars on the October 2016 edition of L’Officiel Hommes NL. As well as a stunning photo-shoot by Roger Rich, the magazine has a fantastic interview with Sam, which we have transcribed below. In it, he talks about his hopes for the future, his memories from the past & how life has changed since the birth of his & Laura’s Son in December 2015. Enjoy! The new James Bond. The new Hugh Grant. Sam Claflin (1986) has heard all of the comparisons. The steady actor lets the compliments slip. There are more important things in the world. Acting for him ‘a job’, but one to which he is fully committed. Will you always make different types of movies? I always try to find new challenges. Much of my work until now has been suitable for the whole family. Now I want to explore new aspects of this profession to prove that I am more than what you think you know. What kind of movies feel most natural to you? Hard to say. I do not think I’m an action hero but I would have liked a try. At the same time I like to get down and dirty for a role, feel the real depth of it. I feel at ease when I continually push myself. That’s what I want to do more and more. Some people see in you the new James Bond. I think I speak for every Englishman, and basically for every man, when I say that it would be an absolute honor to play James Bond. It’s such a great character. But I’m not putting bets on me taking on that role. It would be wonderful but I keep focusing on other things. You studied at the London Academy of Music and Dramatic Art; What was your most valuable lesson which you learnt there? I learned so much there. It was the most valuable three years of my life. It taught me a lot about the whole business of film, politics and everything around it. Things of which I was unaware. It also made me realize that everyone approaches this profession differently. The main lesson is: be yourself, try not to emulate anybody. You work with different actors and directors, and they all approach the subjects differently. So be comfortable with whom you work with and what you do. You also performed with the Royal Shakespeare Company. How was that? It is not my strongest point. With all due respect to my former teachers, Shakespeare was not very well taught to us. That’s why I cherish the little warm feelings I do have for it. It’s something which I gradually grew to love with Drama, but I’m certainly not a natural talent in Shakespearean roles. Do you practice method acting? No, far from it. I do not condemn it, after all is a method of acting. But I hate when people intrude on your own method. Let me do my own thing, you don’t have to force anything on me. I think there is currently too much emphasis on the preparation of roles. If people want to suffer for their art, fine. I do it differently. When I go home, I want my wife and kids to see me and not a character that I play. Which actors do you admire? The list is so very long. Michael Fassbender for the choices he makes presently. 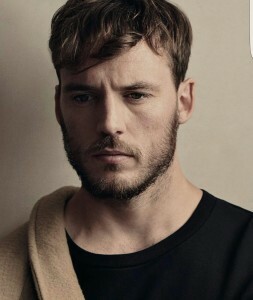 He is a very clever actor. And also very unpredictable, which makes him exciting to watch on screen. Leonardo DiCaprio also. Eddie Redmayne is one of my contemporaries. In my first job (the TV series The Pillars of the Earth), I worked with him. He took pity on me, as it was my first role, my first time on a film set. We became friends and I admire him. You acted alongside some of the biggest stars in Pirates. Did you feel competition on such a set? You learn from everyone and every situation always something different. I loved seeing people like Geoffrey Rush and Ian McShane at work. For Johnny Depp, Pirates was fun. For me it was more hard work, trying to prove myself. It was my first feature film, the chance of a lifetime. I was mainly trying to show everyone that I could do it. A film set is always such a collection of different characters, you can not fail to be entertained. How to keep your head above water in such a competitive industry? No one should drown in it. However, you can get lost easily. It’s addicting. That’s the word. Personally, I surround myself with a solid family and a large group of friends. Which keeps me grounded and they remind me that there is more to life than acting. For me it’s just a job. So during the photo-shoot today you were very down to earth and relaxed. To me that is a crucial part of the job. People lose sight & can think that they are better than others – it happens in every business. I have only seen a few times a director or actor speak down to someone, for example, a catering assistant. Making a movie is about teamwork. It is not the product of one person but of hundreds, sometimes even thousands. Because you happen to be in front of the camera does not mean you’re better than the people behind it. Such behavior is one of my biggest annoyances in this industry. As a teenager you dreamed of a career as a footballer, until you broke your ankles at sixteen. How did you pick yourself up after such a disappointment? I was never depressed or disappointed. It happened at that crucial moment in your life that you are facing a choice: where do I go now? I think I had already resigned myself to the fact that I would not become a professional footballer. I played fairly high level, but I would never have played for Chelsea or Manchester United. I especially liked the fun and camaraderie of being in a group. That group feeling is also in acting. When I started acting, I did not realize that I was following another dream, though I found that out gradually. But without the injuries. What is your ultimate definition of success? Being recognised as an actor who pushes himself further. As a father, I hope that my son will look up to me as someone who makes good choices and challenges himself every day. I do not want easy life, I never shy away from challenges. I’m not afraid of life. Do you still look at your wife in the same way? Yes. Especially after pregnancy. I do not think that I so admire someone like I admire her. Women in general, what they go through to give birth to a child is something very beautiful. But it was not easy. For both of us. If I see a woman on the street with a child, I think: well done! We as men get it very easy. Both physically and emotionally for women it is something that we can not even imagine. Laura loves to have fun, she’s my best friend. As the days pass I fall more and more in love with her. How do you as an actor couple combine parenthood with your careers? We must continue to work to live so we will have to take turns freely. My family is why I act and will do whatever it takes to maintain it. When people asked me in my youth I wanted to be, I always replied ‘a father’. If I had to sacrifice everything to be a father, I would. An actor who I really admire Rick Moranis (known for Honey I Shrunk the Kids). He stopped acting to become a full time father, while at the time he could have taken bigger and bigger roles. But he was not afraid to sacrifice his own dreams for the dreams of his children.